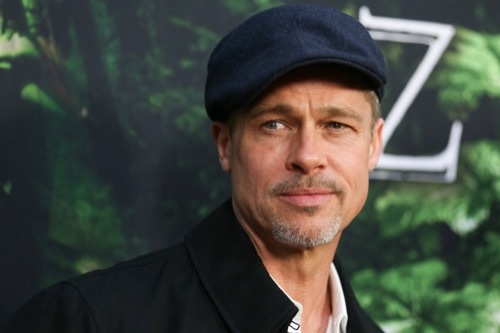 Brad Pitt is finally enjoying his status as a single man. After having spent the last several months behind closed doors and in hiding, the A-list actor was spotted enjoying a boys’ night out with Sean Penn and Bradley Cooper at a Hollywood hot spot last week. According to Entertainment Online, Brad is no longer acting like a homebody. He’s going out more and is in a much better place now than when he was with his ex Angelina Jolie. In other words, Brad is being very careful in keeping his romances under the radar. He doesn’t want to have another high-profile relationship like he did with Angelina Jolie. What’s more, he’s making it no secret that Angelina is not calling all the shots in his life anymore. He goes out when he wants to and spends time with his Hollywood pals, just like he used to before he was with Angelina. And while the tipster goes on to say that Brad is still very much focused on his family life and his six children, he doesn’t see them as often as he did when he was still married to Angelina. That’s because the actress currently has full-time custody of their children and from the looks of it, she’s not willing to let that aspect go. Brad Pitt might be a free man now, but he doesn’t get to see his children as much as he would like to. So far Brad Pitt himself has not made any comments about his personal life, although it is doubtful that he will. The last thing he wants to do is ignite a media war with his soon-to-be ex-wife. Many fans know that the moment Brad Pitt steps out with a new Hollywood girlfriend by his side, chances are Angelina Jolie will do the same thing. She’ll want to prove to the world that if Brad can move on, she can do the same as well. In the meantime, don’t forget to check back with CDL for all the latest news and updates on Brad Pitt, Angelina Jolie and all of your favorite celebrities right here. Angelina Jolie Desperate To Win Brad Pitt Back – Brad Refuses?